The unemployment numbers are on the rise and the administration is doing nothing to bring them down. Is this by plan or is this by ignorance? We could debate this for the next 3 years of President’s Obama’s term. While Congress was ramming health care down your throat people are losing jobs and remaining on the unemployment list. The figures are holding steady at 9.7%. This is just the number for the people presently receiving checks as the true number for people who have dropped off the unemployment list is around 17%. Spending government money or should I say your money, has done nothing and will do nothing to turn this around. The Trillion dollar stimulus was supposed to create jobs, it has turned out to be the President’s slush fund. Now they are talking about a second stimulus. This will just further sink this country into more debt to the Communist Chinese government. I noticed the other day that Nick Jr. cartoon was teaching the young children to talk Chinese. Hmm? maybe this is because your children and grand children will be financially enslaved by Red China and will be working for them to pay off this debt the current administration is raking up. Obama, Pelosi and Reid need to unleash the free market that made this country the greatest economic power in the world. Stop government spending, lower taxes on businesses and individuals and lower capital gain taxes. Very simple formula that was used by Presidents John F. Kennedy and Ronald Reagan. There was great economic booms during their tenures in office. 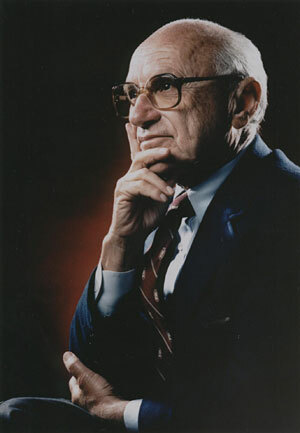 Obama, Pelosi and Reid need to take economic lessons from the late great genius Milton Friedman who explains it in the simplest of terms that even Obama, Pelosi and Reid could understand it. I think?